Litter box location – Just as us humans would want privacy when using the washroom the same goes with your Kitty. Make sure litter box is kept somewhere your Cat has privacy and also a escape route. If you have a small apartment then you can check out my article Where to put Cat litter box in a small apartment. Dirty Litter Box – Would you use a washroom that is filthy? Then your Cat will not use a litter box that is dirty and not cleaned. 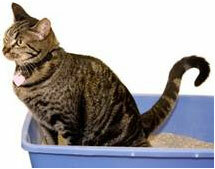 Try cleaning the Litter box everyday and keep it fresh for your Cat to use! 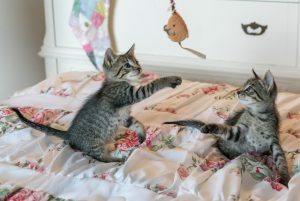 Multi Cat Household – If you have multiple Cats then just as mentioned before make sure you have 2 litter boxes per Cat. Type Of Litter Box – Some Cats prefer a large litter box where they can easily access into and get out. If you notice, the most common reason for a Cat not to use the litter box has got to do with the litter box itself. Add a extra litter box for your Cat if you only have one. You need to check where are you putting the litter box. It has to be convenient for your Cat and not for you. You don’t want to put their litter box where their food bowl is or next to a washing machine as the sound will scare them. Give your Cat some privacy. 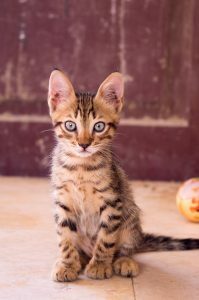 Try different litter and gradually introduce them and see which one your Cat prefers. Is your Litter box easily accessible for your Cat especially if your Cat is elderly he may find it hard to jump heights if the litter box is located somewhere high. These are some of the tips and advice you can use right now. Why not get one month worth of litter delivered to you every month with free shipping. It’s easy to get frustrated and shout at your Cat and I understand that because when they start avoiding using the litter box it can be a right pain! 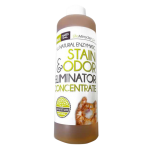 If your Cat has urinated elsewhere just make sure it is cleaned thoroughly with a product that has enzymatic cleaner in them like the one I recommended or if you already have one then great! Cats won’t just stop using the litter box so the good news is that your will eventually use the litter box, it just takes a little effort and patience. If your Cat is stressed then do ensure you show your Cat love and affection to help him. Has your Cat stopped using the litter box? What did you do to get them to use the litter box again? 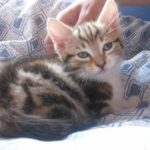 How To Stop a Female Cat From Spraying Everywhere – Finally! No More Urine Smell In Your House!